Observation - miked - bug - 5th December 2006 - UK and Ireland. 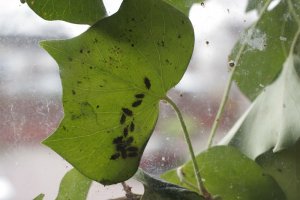 Description: bunch of bugs overwintering behind ivy leaf, do they attack people? bunch of bugs overwintering behind ivy leaf, do they attack people?